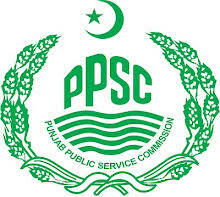 Punjab Public Service Commission manages the interviews of the candidates, who apply for the job in the government department and ministries. The candidates, who qualify in the written test, they are called for the interview against the post, for which they apply. PPSC conducts the interviews of the candidates on the scheduled dates after the written exams. When the candidates apply for any job, they send their application forms against such job. Then the written exam is conducted and finally PPSC conducts the interview. The candidates can get the detailed information regarding PPSC interview for the candidates. The complete schedule for the interview will show the date and time and the location of the office, where the interview will be conducted. The candidates are advised to appear before the board for the interview in time and after becoming successful in the interview, they can be appointed on the applied post.